After a dry summer and autumn, we have experienced a period of rain. The river has been at its highest for at least 6 months. 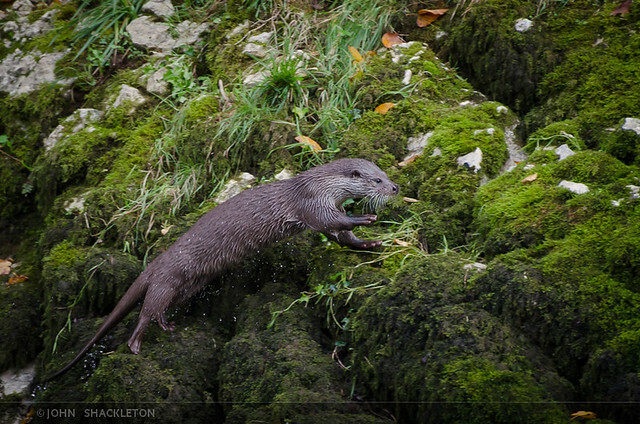 In the past few weeks otter sightings have been zero. This week, we resumed our walks along the Río Piloña with the water level now returning to normal. The herons have comeback, with 3 or 4 individuals maintaining their motionless posts along the riverbank. The kingfishers and dippers are also busy – and easier to observe with the leaves from the riverside trees having made way for winter. There have been no clues to the otters whereabouts. We often wonder if they will they ever appear again. But we shouldn’t have worried. 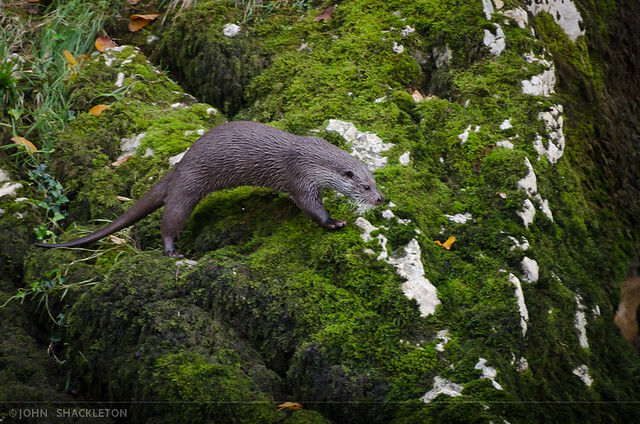 We were soon watching a family of 4 otters through our binoculars and camera. And we saw them at close quarters with spectacular views. The three cubs seemed relaxed, straying quite far from the mother (though she often called to them). Two youngsters in particular were frantically playing – too busy to notice we were just 20 metres away. 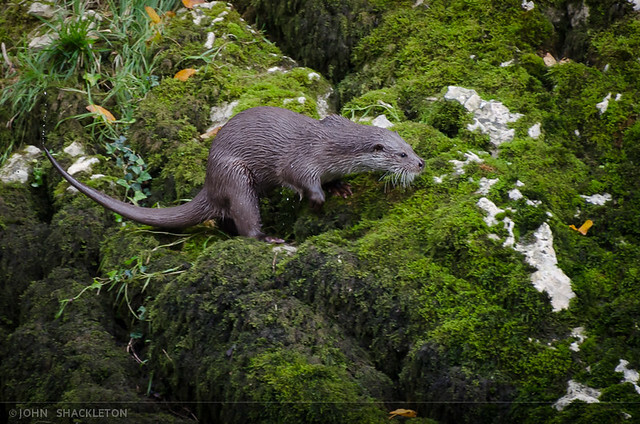 They are without doubt the same family we have seen all year – see posts – Asturian Rivers: In search of wild otters and An evening watching an otter family in Asturias. 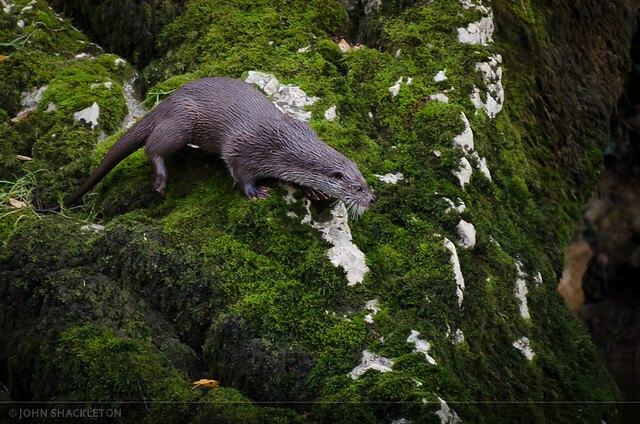 I was hoping they might leave the water and climb this moss covered rocky bank. We’ve seen them do it a few times before – mainly to spraint. 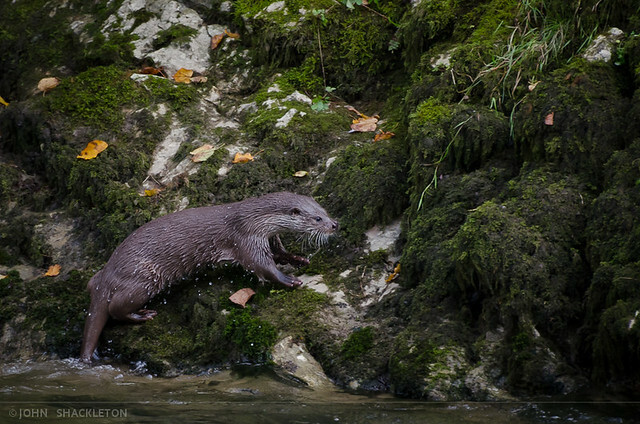 After 15 minutes one young otter obliged. There were just 4 seconds between the first and last photos in this sequence. Wow! What a great sequence! Did you know they can also climb trees? I don’t know why they’d want to, but I learned this week that they do! Hi Christine. 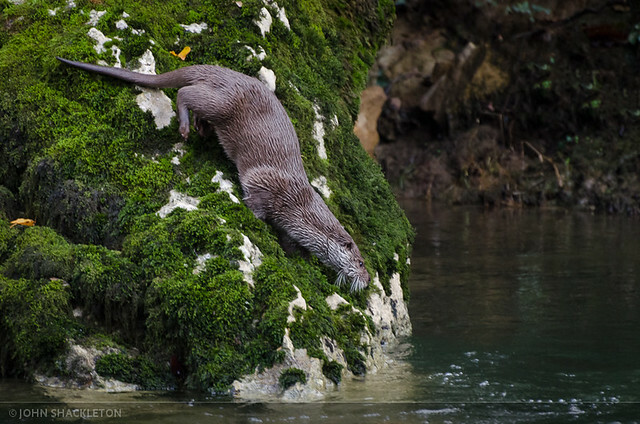 We’ve seen them running up high banks and sometimes quite far from the water as well as rubbing against tree trunks but not climbing them. I’ll start looking – that would be a photo! Thanks for the comment.